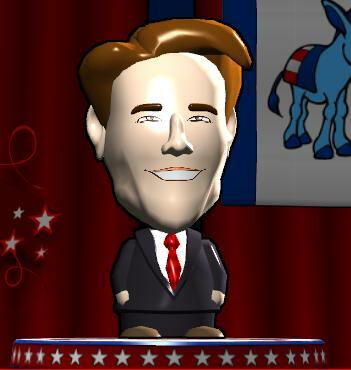 Junior Senator from Indiana (1999-2011) and before that the 46th Governor of Indiana, Bayh is both a layer and a Fox News commentator. As Governor he cut taxes by a record $1.6bn and creating a huge budget surplus. As a Senator he sat on five different committees and was one of the earliest supporters of the 2003 Iraq War. A fiscal conservative within the Democrats he has been touted as a candidate for the Presidency in 2008 (only a coin toss away from being Veep in 08), 2012 and 2016.